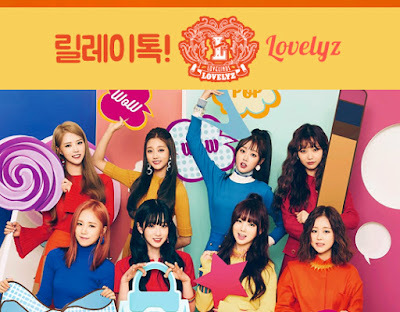 [Relay Talk] Lovelyz, there's a different me inside...'23 Identities'? Group Lovelyz are searching for a different character inside of themselves. Lovelyz (Baby Soul, Yoo Jiae, JIN, Lee Mijoo, Seo Jisoo, Kei, Ryu Sujeong, Jeong Yein), who recently participated in TVDaily's 'Relay Talk', cheerfully and frankly replied to the question: "If there exists a different you inside of you?" First, Jeong Yein said, "I'm the oldest in my house but I'm the youngest in my team, so when I'm with the older members, a character who uses a lot of aegyo comes out." She added, "I'm originally a reckless person so I think I became more reckless. I want to have all the unnies' attentions to myself." Kei said that she changed to another charm in herself when she changed into her 'cute' persona. She emphasized, "When my cute persona comes out, I get shocked. I hope the world will be more lovely with my aegyo." Baby Soul recalled a memory where she unknowingly became bold in front of people. "I'm surprised at myself too. I think to myself that, 'So I have this kind of side to myself,'" she explained. After Lee Mijoo said, "When I walk without saying anything," she said, "When I walk like I was bewitched, I think to myself, 'What was I thinking that I walked all the way here?'" Yoo Jiae said, "When a picture came out pretty I thought it wasn't me." She added, laughing out loud, "It's embarrassing but sometimes I don't look like myself. I really think this so when I look in the mirror, I say, 'The picture was taken well.'" "When I look at myself having fun on TV, I didn't think that I would feel just that happy and make that kind of expressions and gestures," Seo Jisoo said with a sad expression. Ryu Sujeong confessed that when she found herself who buys a lot of clothes of the same style, another character comes out, "I usually spend money carefully so when I thoughtlessly buy clothes that I like, I feel like I'm forced to buy it quickly and on impulse, and there are thoughts like 'Did I buy this?'" Finally, Jin said, "When I show cute and pretty expressions on stage, I normally really can't do it. Unknowingly, on stage, I think it's automatic." TV Daily: Did you watch the movie '23 Identities'? What about the drama 'Kill Me, Heal Me'? It's a story where various personalities coexist within a person! What about you? Are there times where you look at yourself and it's like it's not you? Maybe a child or a manly man comes out! Jeong Yein: Yes! That's true! I'm the oldest in my house but I'm the youngest in my team, so when I'm with the older members, a I use a lot of aegyo. I'm originally a reckless person so I think I became more reckless. Baby Soul: When I unknowingly act bold in front of people!! I myself was surprised after I did thatㅋㅋㅋ I thought 'So I have this kind of side to myself'! Lee Mijoo: When I walk without a word!! Yoo Jiae: When a picture came out pretty! Seo Jisoo: When I look at myself having fun on TV...? Ryu Sujeong: When I buy a lot of clothes with the same style! JIN: When I show cute and pretty expressions on stage? I normally really can't do it~ Unknowingly, on stage, I think it's automatic! Lovelyz are having an active promotion with their title song 'WoW!' from their 2nd album 'R U Ready?' released on the 26th last month. 'WoW!' is a joint effort by the producing team 1Peace, led by Yoonsang, who has been with Lovelyz since their debut, and lyricists Jeon Gandi and Kim Eana, gaining popularity with new color of electronic sound and Lovelyz's unique charm.